RAW HOLLYWOOD : NEW VIDEO: TIFFANY EVANS FEAT. 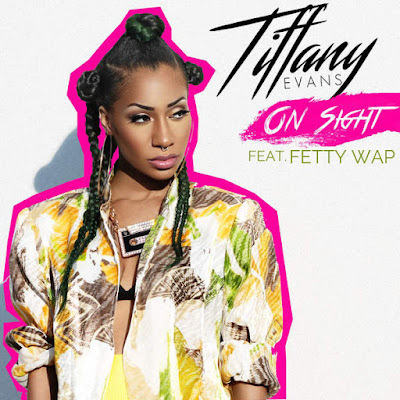 FETTY WAP "ON SIGHT"
NEW VIDEO: TIFFANY EVANS FEAT. FETTY WAP "ON SIGHT"
Tiffany Evans is back like she never left & with a new visual. Back in October she released the EP All Me that featured the leading single "On Sight" featuring rapper Fetty Wap. The heavy beat helped the track to push over 1 million digital streams & has made it's rounds on airwaves all over the world. Evans filmed the visual in the big apple of New York City after the filming was delayed due to her being pregnant & Fetty being in a motorcycle accident. The music video was directed by Tiffany with hopes that her fans would see actually who she is as artist. While Tiffany Evans was in NYC filming the music video, Raw Hollywood caught up with the singer/dancer/actress where she talked music, the video & tons more. Check out the interview HERE.